San Gabriel is the newest addition to Austin Community College. The campus rests on 100 acres in Leander, one of the fastest growing cities in Texas. There’s a river nearby and plenty of greenbelt. You can enjoy the view from a 3,900-square-foot rooftop terrace. Course offerings at San Gabriel are perfect for those interested in transferring to a university, obtaining an associate degree, or completing career-technical training. This campus has the faculty, staff, and resources to help you achieve your goals, whatever they may be. In addition to a library and comfy common areas for studying and socializing, San Gabriel features the ACCelerator. This interactive learning environment provides students access to innovative classes, computers, free tutoring services, career counseling, and more. Find out what classes are offered on this campus. 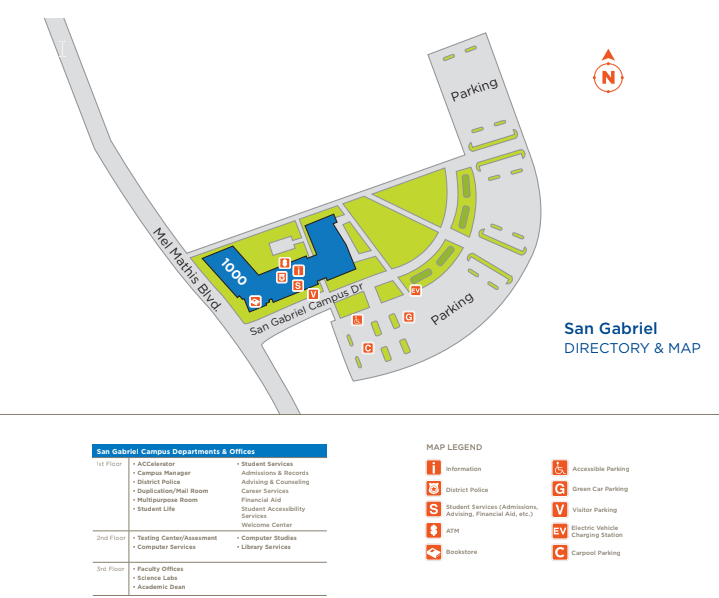 View Available Classes (Select San Gabriel Campus in the Locations dropdown menu). M-Th: 7 a.m. – 10 p.m.
M-Fri: 7:30 a.m. - 9 p.m.
449 San Gabriel Campus Dr. 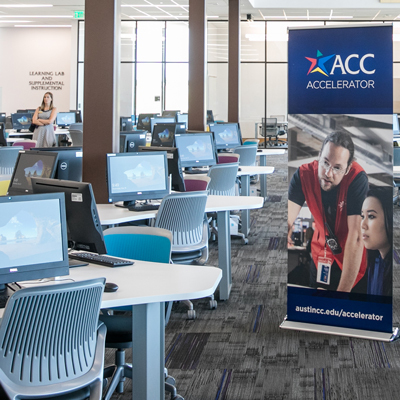 ACCelerator Modeled after the world’s largest learning lab at Highland Campus, the 150-seat San Gabriel ACCelerator is designed for personalized, interactive learning. Multipurpose Room A multipurpose room will provide a gathering space for a host of student and community activities and special events. Sustainable Design Energy-saving features include LED lighting, a water reclamation system for toilets and landscape irrigation, solar panels, and high-efficiency heating and air conditioning equipment.